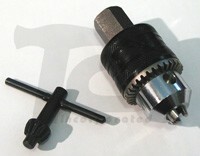 This attachment allows easy accessory changes. It will accommodate up to a 3/8" burr. A Little History on the Jacob's Chuck: It's hard to believe that a set of bruised knuckles was the impetus for one of the most significant industrial advancements in the 20th Century. Arthur Irving Jacobs was never one for leaving things alone. He was always improving them - continually coming up with new ways of working and new gadgets to do the work. Before he was 30, "A.I. ", as he was known, had perfected a new method for making bicycle spokes, and chains, plus many other manufacturing advancements. On one particular occasion, he was working with an old style drill press, trying to hold the belt control with one hand, and applying the spanner wrench to the other. The wrench slipped and he badly battered his knuckles. A.I. knew there had to be a better way. 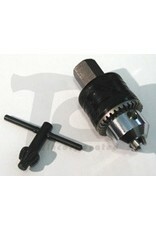 In a matter of days, he had developed the first drill chuck with a toothed sleeve and key. A few months later, he founded what would become The Jacobs Chuck Manufacturing Company. The rest, as they say, is history. The keyed chuck helped to transform the production process just at the time when industrial manufacturing was about to experience its most significant growth in modern times. 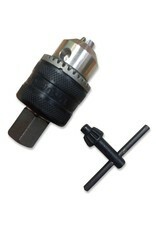 Today, the concept of the original keyed chuck is an integral part of all drill chuck technology. 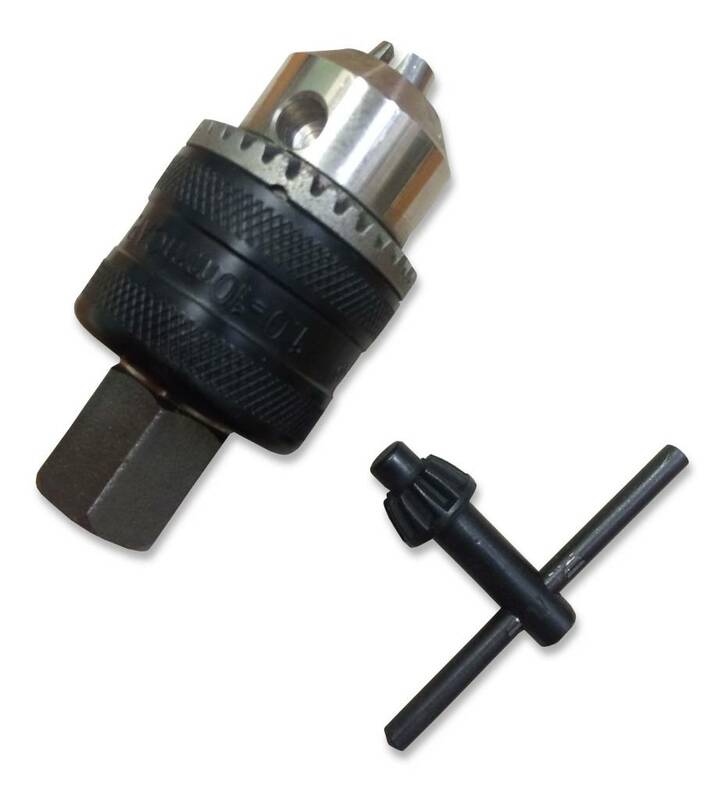 It has been applied to a wide range of applications, from the most sophisticated CNC machining to drilling with the smallest cordless portable drill.